Get your golf game on in the Oakley Bella Chino Golf pants. 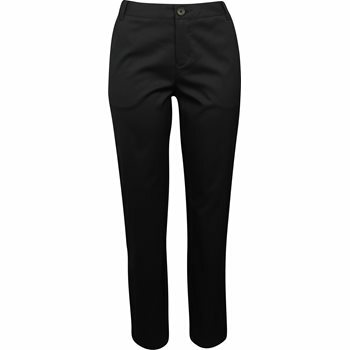 These straight leg ankle pants provide comfort on or off the golf course. They feature contrast piping at the side, pockets for golf accessories/personal items, and stretch fabric that provides a comfortable fit and movement with ease. The fabric is also durable for machine washing and breathable to help keep the skin ventilated.